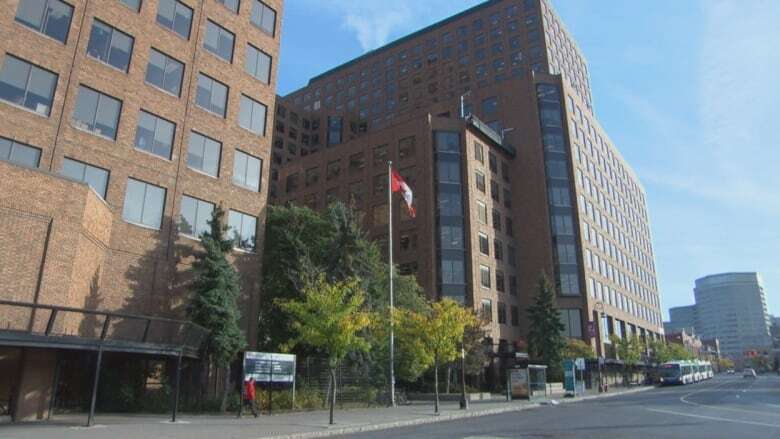 Public servants working at a federal government building in Gatineau, Que., say they weren't told that potentially harmful Legionella bacteria had been found in their workplace until weeks after the discovery. The bacteria, which can cause legionnaires' disease, a severe form of pneumonia, were discovered inside the Terrasses de la Chaudière building during routine tests completed in mid-March, but employees at Crown-Indigenous Relations and Northern Affairs Canada only got the news in an email sent April 3. Legionella bacteria can survive for several months in water and household devices that use water, such as shower heads and humidifiers. It causes flu-like symptoms that can escalate to hallucination and memory loss, but is not communicable. Between five and 15 per cent of known cases have been fatal. In an email to CBC/Radio-Canada, Public Services and Procurement Canada confirmed the bacteria were found in the water of a cooling tower located on the roof of the building following tests concluded on March 15. The federal agency said the bacteria would have no impact on the air quality inside the building because its ventilation system is separate from the cooling tower. The Union of National Employees (UNE), which represents some of the workers, said it only learned about the issue through the media. The union's vice-president, Andrew Shaver, said communication needs to be improved. "It would have been really nice if the employer could provide us with an update when something like this was discovered," he said in a French-language interview with Radio-Canada. "My members are already defensive regarding their health with all the other problems that exist in the [building]." Public Services and Procurement Canada said in an e-mail Monday that the cooling tower system has now been cleaned, disinfected and retested following established protocols. Patrick Paquette, the president of the Association des microbiologistes du Québec — an organization representing the province's microbiologists — said even small amounts of the bacteria could pose health risks. "There is never zero risk," he said in a French-language interview. "In some cases we end up with legionnaire's disease outbreaks, and we're not [even] able to determine the source of the outbreak at the laboratory level — whether it [came] from a public fountain or a water cooling tower." He said some people are more susceptible to the disease, including those over 60, smokers, people who drink alcohol often, and those with respiratory health problems. "It is important to be aware, but we can't let panic prevail," he said.